I’d go out on a limb and say that most Western riders could recognize the VOHK logo. It has become synonymous with expertly built and tuned mountain slaying machines. But, I think few people actually know what’s involved or why it is that way. As a kid, I grew up watching Chris Burandt, Chris Brown and the Boondockers slay the powder, sailing their sleds, and just flat out killing it. And, in every one of those videos and on almost all of the sleds, I saw a unique white logo that read VOHK. When I moved to Colorado, just a few years ago, the VOHK name became more and more prominent. 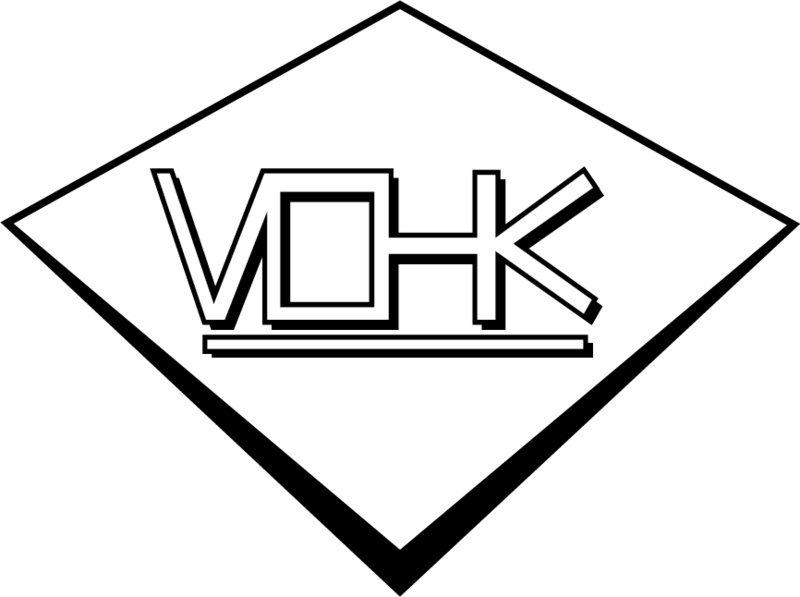 Everyone that was ripping it up had a VOHK logo, and I wanted one, as I too, wanted to rip. 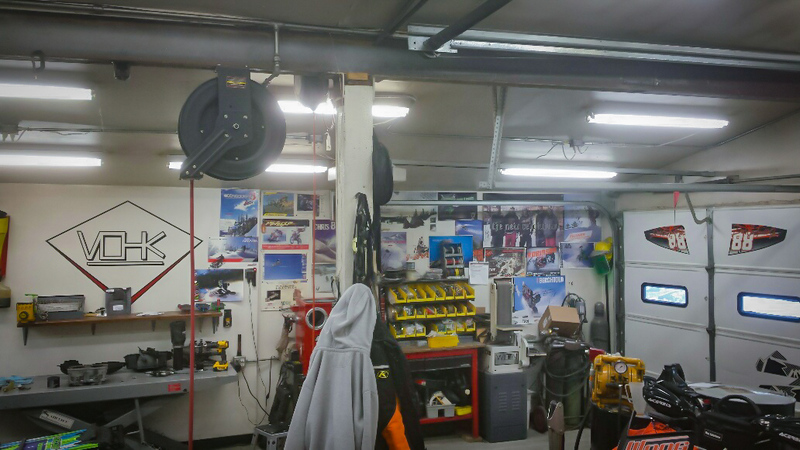 I started doing some research and figured out that VOHK was the performance wing of Alpine Motor Sports in Kremmling, Colorado. Kremmling is a tiny out-of-the-way town, at the base of Rabbit Ears (Muddy Creek Pass), nestled against some of the best riding in the U.S. Kremmling reminds me of the fictional town from South Park, where each building has a facade, often log or aged rough-hewn timber. There is one grocery store that sells fuel, and one stand-alone gas station. It reminds me of home. Strewn just off of Main Street, sits Alpine Motor Sports, an equally fitting building. From the front, it’s very inconspicuous. Generally, a few sleds (no more than four), and maybe one ATV sit out front. There is a small side lot, screened in with privacy fencing, maybe twenty feet wide. I guess, where I’m going is you’d never guess this was the maternity ward of so many great machines. I had my first experience with VOHK, owned by Erik Woog (Vohk is the phonetic German pronunciation of his last name) in the fall of 2013. I had purchased an Arctic Cat M8000 elsewhere and wanted Erik to put his touches on it. I had it shipped to his shop and they went to work: clutching, can, and a few other goodies. Now, I hadn’t ridden a new snowmobile in ages, so I think anything would have been a treat, but this thing was spot on. I wanted more. The next season, after several rides with Matt Entz of Mountain Skillz, had had been talked into drinking the Kool-Aid. 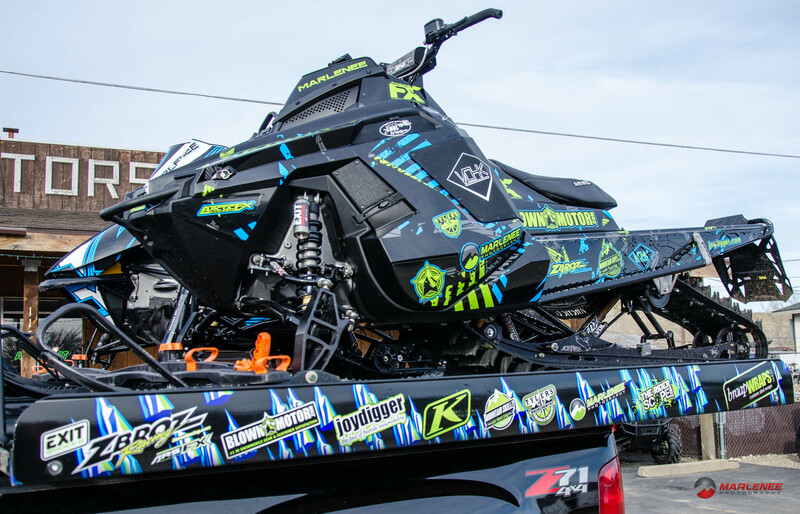 My lifelong bond with Arctic Cat was out the door, as I snow checked a new, 2015 Polaris Pro. The process was easy. One call to Erik, and maybe 5 minutes on the phone, and I was done. At this point, however, I never thought I’d be building a mod. No, I was just going to have a stocker and be happy. All of that changed, around mid-July. I had received a salary bump and thought building a one-off mod-sled would be a good reward. Again, I called Erik and tried to figure out if this was going to be possible. Erik was as excited for the build as I. We started like he does with every customer. You know, that’s one thing I really like about working with VOHK; it doesn’t matter if you’re Chris Burandt or just another weekend warrior, you get the same quality, access, and training. OK, so it started with the consult. Erik brought up my snow-check order and we went over things from there. 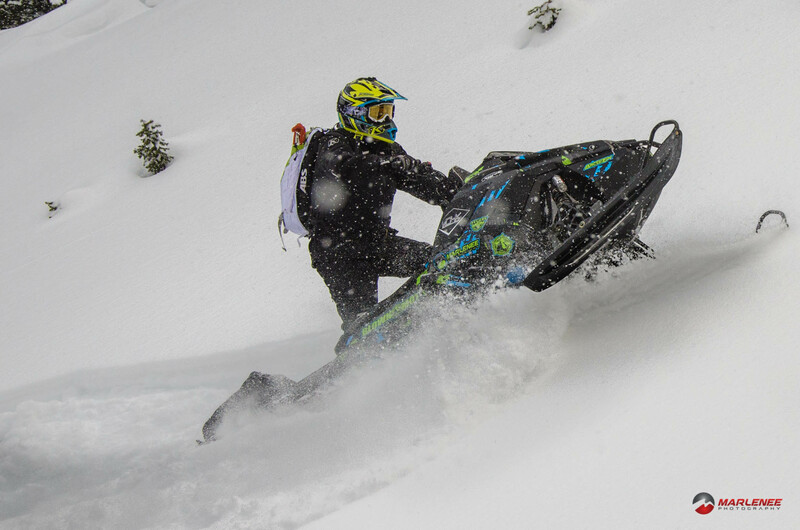 We went, meticulously, through every aspect of the sled, and determined what was the best fit. I expressed that my main concern was reliability and that Marlenee Photography was becoming something real, and I needed a sled that would work every day, for every ride, no matter what or where. Over the next few weeks and months, I received various calls from VOHK. Sometimes, it was just to update me on the status of things like “hey, Polaris is shipping sleds a little bit later than we anticipated this year” or “all of your Boondocker Turbo parts are in”. Other times, it was more in depth. You could tell that Erik was truly building a one-off custom for me, and that he cared. This process continued until early December. Finally, after what seemed like years of waiting, I got the call. My turbo was done. I expected to just be able to run up to Kremmling and pick it up. This was not the case. At first, I was frustrated with this procedure, but after a year on the snow, I see why. So, I had to schedule a time to go ride with Erik as well as time to take a class. 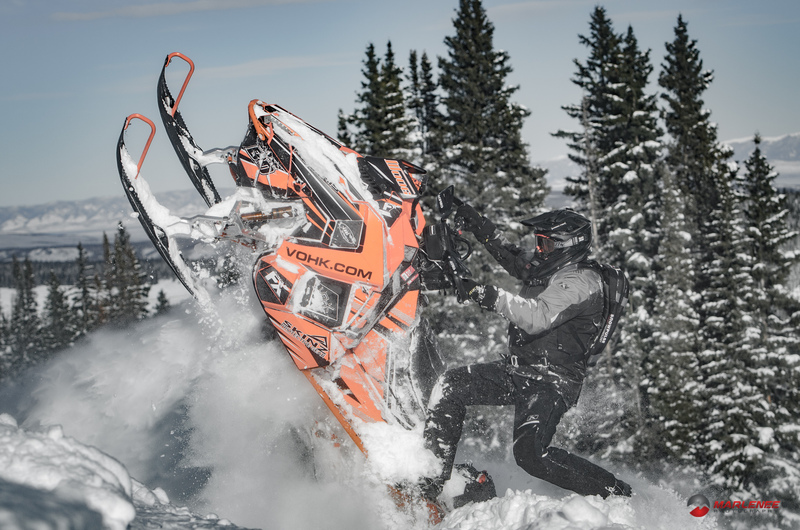 Running a mod sled comes with more responsibility than a stocker. Now, I don’t mean to say that it’s a ton of work, but there are some maintenance and tuning items that you need to know or you’ll have an unpleasant time. For example, Erik will beat it into your head that these turbos are smart. The fuel control, the electronic boost control, etc, it’s all programmed to make changes in response to environmental variables. So, what you’ll hear over and over again, is that you shouldn’t have to tune it. If you do, something is wrong. Maybe it’s a broken primary spring, or maybe you have water in your fuel, who knows, but you shouldn’t be tuning them. I made my appointment and went for a ride. I felt pretty special to be on a ride with Erik Woog, knowing that he had built so many ridiculous sleds. Erik jumped on my sled and ran it around, up and down some chutes, down through a creek bottom, got it stuck, rolled it over, basically, he put it through the wringer. He wanted to see if there was anything or circumstance that would make it behave poorly. One of the biggest selling points, for me, was beyond customer service, beyond the name; Erik RIDES. He knows what he demands of the sleds, and he knows what his customers expect. This is something that, in my opinion, few others offer. I took my sled home and tucked her into the garage. After babying it for the first few nights, I decided it was time to ride it. For the first two or three weeks, I learned how to really move as one with the sled, and as time went on, it only got better. After fighting with other builds and sleds, I had a mod sled that I was completely confident in. I could trust it no matter what. I knew it wouldn’t stall, sputter, die, cut out, or any of the other problems that had plagued me with previous sleds. Within the first season, I had a couple of small issues, and I’m happy to say that the service didn’t stop once I bought the sled. First, I lost a bearing in my jack-shaft. Whatever the cause of the issue, Erik told me to get my sled in ASAP. He had parts over-nighted, and I was back on the snow the next night. Second, I started having a weird problem. It felt like I needed to re-tune. Again, on a Saturday, I called Erik. He answered the phone and walked me through some steps. It turns out I had broken a primary spring, and had overlooked it on my first inspection. However, I didn’t lose any time on the snow, because Erik took the time to help me over the phone. Now, does your sled salesman or mechanic do that?